Is Your New Year’s Resolution to Shift Towards Preventative Hydraulic Maintenance in 2019? Why Do I Need a Local Hydraulic Service Provider On Call? Winter is Coming – Do You Know How to Properly Operate Your Hydraulic Equipment in the Cold? Looking for Hydraulic Repair Services in Riverside, CA? Are You Looking to Add More Hydraulics to Your Business? 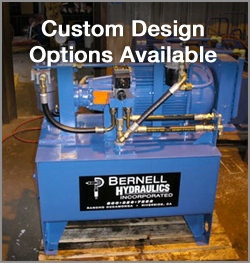 Bernell Hydraulics is Offering 10% Off Your Online Order in Our Store – Happy Holidays! Looking for a hard-to-find hydraulic component? What’s Wrong with Micron Ratings for Hydraulic Filters? Do You Need to Calibrate your Flowmeters? Should You Be Using a Magnetic Filter? Have You Done Your Spring Maintenance Yet? Need Parts for Hydraulic Hybrid Vehicles?